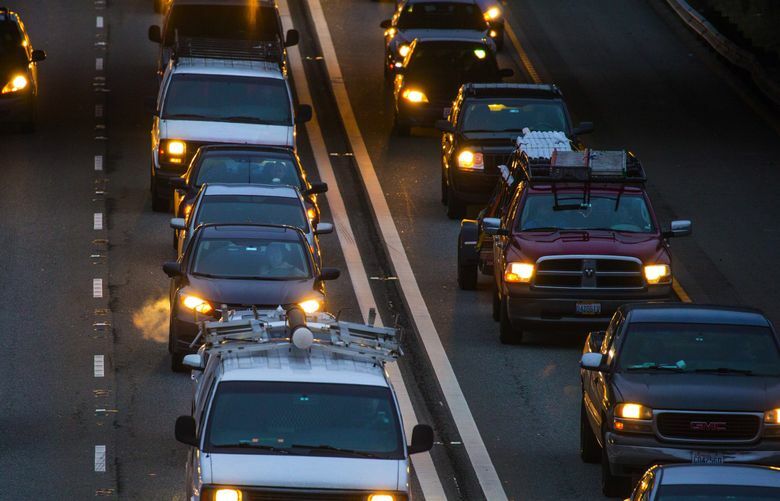 Is Seattle ready to consider widespread tolling to ease traffic congestion? Congestion pricing has long been a sensitive political subject, so much so that no American city has implemented a widespread tolling system despite years of discussion and mountains of proposals. Sometimes, at community events with constituents, Seattle City Councilmember Mike O’Brien will bring up the idea of tolling downtown streets. But he does so nervously. But instead of blowback, O’Brien said, people have been asking him how it would work. Would there be more buses? Would they get through downtown faster? The path forward is long and uncertain after Mayor Jenny Durkan announced this week that the city will develop a plan for tolling downtown, part of a push to ease gridlock and curb greenhouse-gas emissions. Cities across the country have looked at, studied, dabbled with and endlessly debated congestion pricing, or putting a broad system of tolls on their streets as a way to reduce congestion. Last year, New York Gov. Andrew Cuomo declared “congestion pricing is an idea whose time has come,” for New York City after more than 10 years of discussion. Apparently it hasn’t. Cuomo’s budget, passed last week, does not include congestion pricing. Critics of the New York plan have characterized it as elitist, charging drivers from lower-income outer boroughs to enter wealthy Manhattan. Los Angeles has also been looking at congestion pricing for a decade. Portland’s City Council passed a resolution last year to look at tolling. Vancouver, B.C., is in the midst of studying it. The Seattle area began studying congestion pricing at least 15 years ago. Multiple studies recommended it. No one knows how such a system would work, what areas would be tolled or how much those tolls would cost. With Seattle drowning in a housing-affordability crisis, would tolls just be another measure making the city’s most-visited areas accessible to only the wealthy? Those answers won’t begin to come until later this year when initial results of the city’s study of downtown tolling are expected. Durkan said she is hopeful a congestion-pricing system could be in place by the end of her first term, in 2021. Durkan and supporters vow that any tolling scheme would be accompanied by significant increases in public transit, and that tolling revenues would be funneled back into more transit service. But any tolling system in downtown would cost millions to implement, with money needed for tolling equipment and administrative and enforcement tasks. London, which charges about $16 on weekdays to drive into an eight-square-mile zone around downtown, spent just over $120 million in 2017 collecting tolls. That still left more than $230 million in tolling revenue to spend on transit service and other priorities. London’s tolling, introduced in 2003, has significantly reduced city-center congestion. On the Eastside, the toll lanes on Interstate 405 — a more limited form of congestion pricing — have brought in much more money than anticipated, $22 million a year in their first two years. But still, more than a third of the money raised goes toward the costs of tolling, not roadway improvements. Councilmember Rob Johnson supports moving forward with a tolling plan and said the city could look at Orca Lift — the program that gives low-income residents discounted bus fare — as a model for how to make tolling more equitable. Besides O’Brien and Johnson, the other seven members of the Seattle City Council either declined to comment Wednesday or did not respond to requests for comment about Durkan’s tolling proposal. The Metropolitan Seattle Chamber of Commerce, whose political arm spent at least $525,000 supporting Durkan’s campaign last fall, declined to comment, saying it would wait for more details. The Downtown Seattle Association, which represents businesses and residents downtown, was cautious about the proposal, but did not object. Katie Wilson, general secretary of the Seattle Transit Riders Union, which advocates for working and low-income people and successfully lobbied the City Council to pass an income tax, said downtown tolling is worthy of consideration. Mariya Frost, transportation analyst for the Washington Policy Center, a conservative think tank, said tolling in downtown Seattle would be “deeply unfair,” punishing workers who can’t afford to live in the city but need to drive into it. But O’Brien pointed to the city’s most recent commuting data: Only one in four workers at the biggest downtown businesses are driving alone to work and nearly half are taking public transit.